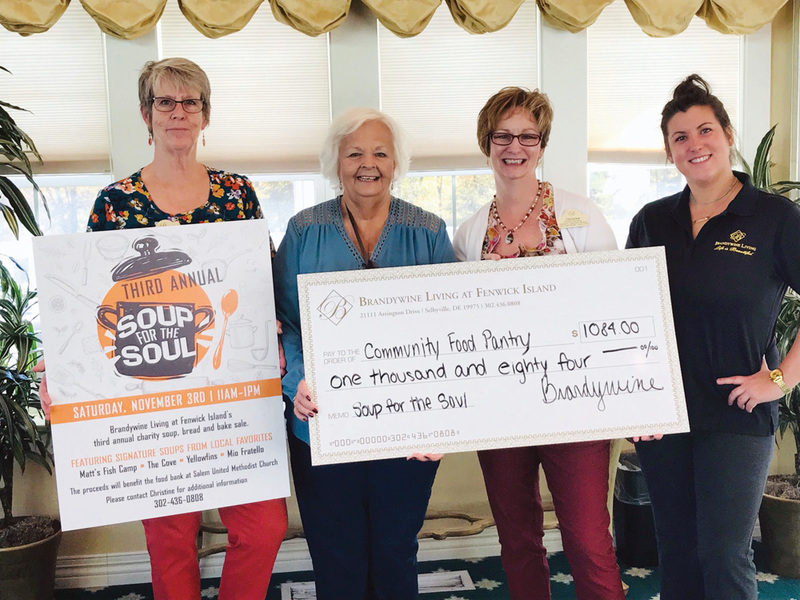 The community had the opportunity to buy specialty soups and baked goods from local restaurants during the third annual Soup for the Soul event. 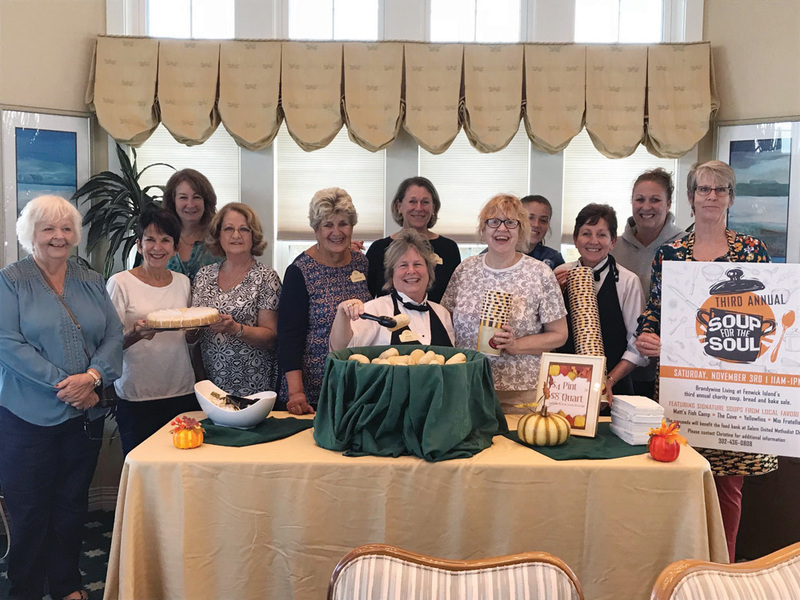 Above, Brandywine Living at Fenwick Island team members present donations to the Community Food Pantry. 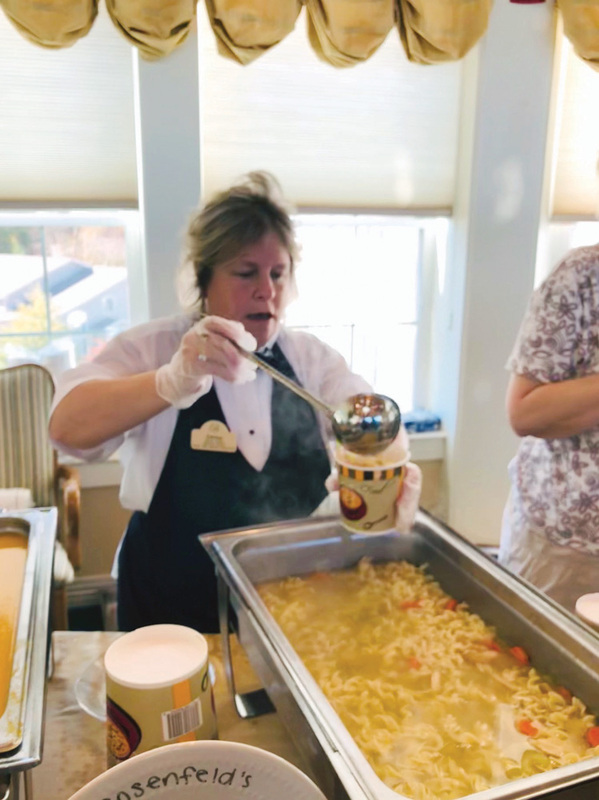 “Soup for the Soul” combined a soup sale and bake sale into one afternoon. Local restaurants donated the signature soups and fresh baked goods that were available for purchase during the fundraiser. Participating restaurants included Just Hooked, the Cove at Bayside, Matt’s Fish Camp, Yellowfins Bar & Grill, Mio Fratello, Catch 54, One Coastal, Rosenfeld’s Jewish Deli and Sweet Dispositions. Dottie Campbell, Community Food Bank coordinator for the last 23 years, was also onsite with volunteers and baked goods. More than $1,000 was raised at the event and presented to the Community Food Bank of Salem United Methodist Church. The proceeds will assist local families experiencing financial hardship this holiday season.